Wu and Mai come from Taiwan. 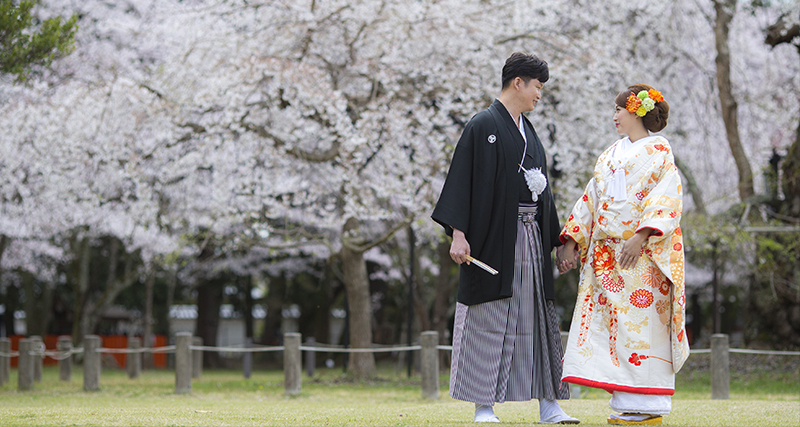 Mai loves Japan, so they decided to have a wedding ceremony for just the two of them in Kyoto. Wu and Mai were a very lovely couple who were always laughing. Because their ceremony was at 9 o’clock, there were not many tourists, so they were able to enjoy their photo shoot after the ceremony. They tried a lot of different poses and had a really fun time being photographed with the SAKURA. We hope you enjoy a wonderful family life filled with laughter!